An all-you-can eat buffet is the way to go. we offer over 180 everyday items on the buffet bar, including all the traditional Chinese dishes you crave. On the supreme buffet, there is something for everyone. 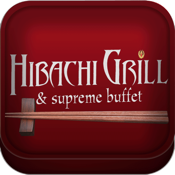 Now we are pleased to offer you Hibachi Grill Right to your mobile phone for 24/7 access to our goodness.